M. Tech (Regular) Full -Time: These are students who work full-time for their M.Tech degrees and receive assistantships from the Institute or fellowship from any other recognized funding agency. M. Tech (Sponsored) Full-Time: A candidate in this category is sponsored by a recognized R&D organisation, academic institution, governmental organisation or industry for doing M. Tech in the Institute on a full-time basis. The applicant must be a regular employee of his/ her organization with at least 2 years of experience at the time of admission and be engaged in professional work in the discipline in which admission is sought. He/ She will not receive any financial support from the institute. Sponsorship letter (Form 1, available with the application form) must be attached with the duly filled in application form. Project staff: This category refers to a student who is working on a sponsored project in the Institute and is admitted then to M.Tech Program to work on a full-time or part-time basis. The remaining duration of the project at the time of admission should be at least one year. If the project gets completed before the student completes his/her M.Tech Program, his/her category will be converted to PART-TIME Category. 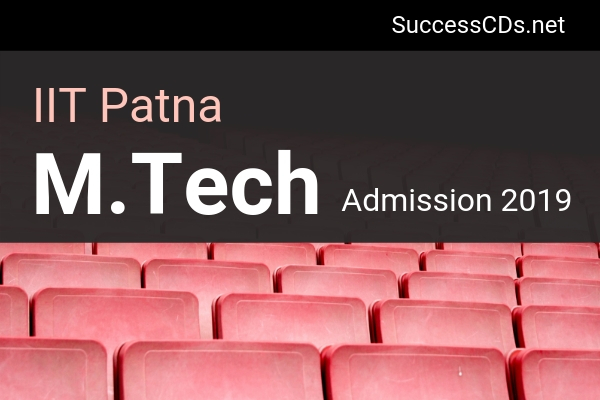 A student in this category is a professionally employed person (including the staff of IIT Patna), who pursues the M.Tech Program, while continuing the duties of his/her service. The Institute does not provide any assistantship to such a student. Please login and fill up all the parts of the application form. Follow the instructions given in the document “Instructions to Candidates”. At the end a final PDF will be generated. You can download it from your registered email address or from your application page. Completed application enclosed with the payment details (e-receipt) for application fee and attested copies of marksheets/certificates and with other necessary enclosures (if applicable) should be sent to the "The Assistant Registrar (Academics), Indian Institute of Technology Patna, Bihta, Kanpa Road, District-Patna, Bihar-801106"